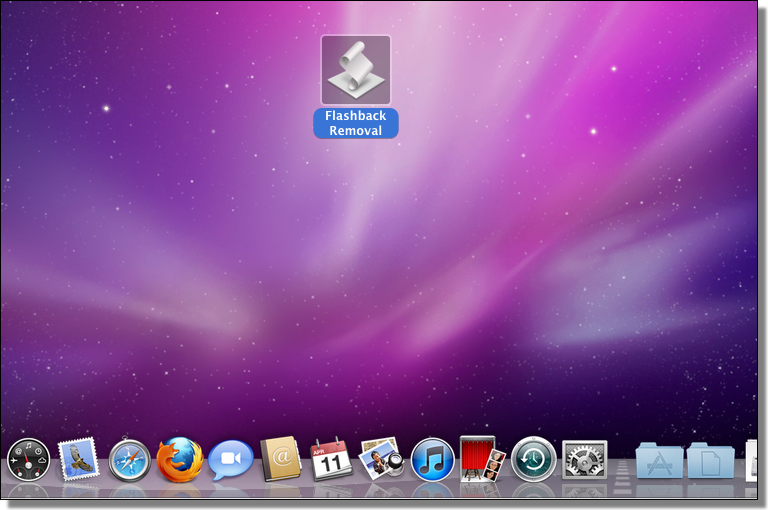 We have created a free tool that automates the detection and removal of the widespread Flashback Mac OS X malware. The tools creates a log file (RemoveFlashback.log) on current user's Desktop. If any infections are found, they are quarantined into an encrypted ZIP file (flashback_quarantine.zip) to the current user's Home folder. The ZIP is encrypted with the password "infected". Quite surprisingly, Apple hasn't added detection for Flashback — by far the most widespread OS X malware ever — to the built-in XProtect OS X antivirus tool. 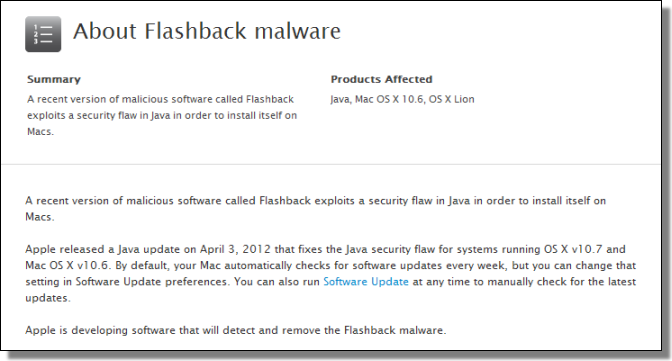 Also note that Apple has not provided a patch for the Java vulnerability used by Flashback for OS X v10.5 (or earlier). 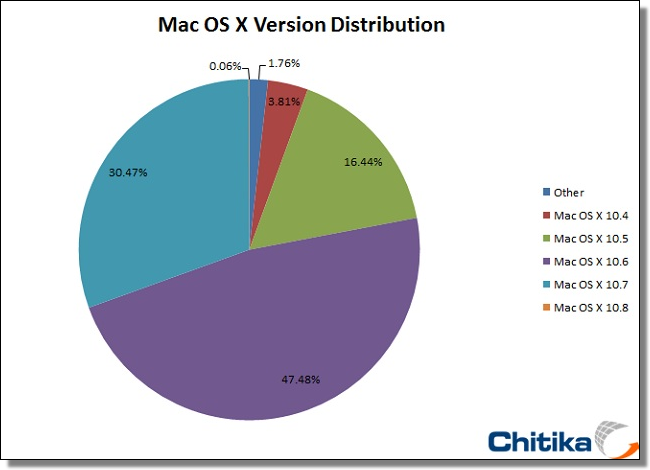 More than 16% of Macs still run OS X 10.5. If you run an older version of Mac OS X, update to a current version. Or disable Java in your browser. Or uninstall Java. And run our free tool. And yes, we have a full-blown F-Secure Antivirus for Mac available as well. Update: Small false positive fix. The tool linked above has been updated (April 12th). Version 1.1.0.